In the exclusive club of the world's most valuable companies, Apple (AAPL) is king. And its crown just added more bling. The tech giant is now worth a staggering $700 billion after its stock hit a record high on Tuesday. That's $300 billion more than the market cap of Exxon Mobile (XOM), the second most valuable company on the planet. To put that in perspective, rival Google (GOOG) is worth about half of what Apple is right now. The doubts about CEO Tim Cook's ability to deliver in the wake of the death of Steve Jobs in 2011, Apple's founder and visionary, have largely faded. Record run: Apple's stock has been on a tear this year as investors cheer the iPhone 6 and get pumped for the iWatch and mobile payments platform Apple Pay. Shares are up 50% to an all-time high of just under $120 a share. Wall Street also seems pleased with the company's buybacks and steady dividend payments. Room to run? The naysayers about the brand tend to be drowned out these days, as many believe the stock will continue its historic run. Three quarters of analysts give Apple a "buy" rating, according to FactSet. 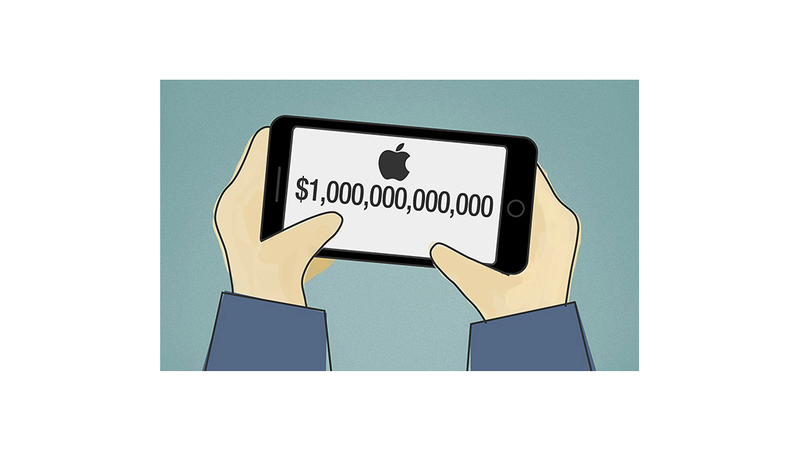 Related: Will Apple soon be worth $1 trillion? Exactly how much higher could it go? According to legendary investor Carl Icahn, significantly more so. In a letter to the company's management team recently, he said he believes the stock could be worth $203 a share. That would value it at over $1 trillion. However, that prospect is highly unlikely in the near future, if ever, since shares would have to rise more than 70% from their current price. --CNNMoney's Paul LaMonica contributed to this report.